When you have been vacationing in an area for a quarter century, and then you relocate there, it can be really difficult to wrap your mind around the fact that this time it is not just a sabbatical from which you have to return. But Marsha and I are getting there. When we first arrived this May, we rented Airbnbs in South Capitol, then in Upper Canyon Road – two of the prime areas in town for tourists to stay at because of the “easy walk into the Plaza” with all of its museums, restaurants and other activities. And while we were there we took full advantage of the downtown proximity to enjoy some much-needed R and R.
But we soon discovered when we began house hunting – which was the only non-leisure activity we actually had to do – that, other than our son and daughter-in-law’s neighborhood; we really didn’t know any spots that weren’t sightseer sections of town. Anything that wasn’t in those spots seemed to be, to our small-town east-coast way of thinking, too far from the “real” Santa Fe. A belief that we fostered on a daily basis by trekking into town and playing tourist. But we gradually began to disabuse ourselves of that notion at realtor open houses that brought us to a rural area south of Santa Fe that we had not even known existed – and is now the place that we now call home. I assured him that they did indeed – as well as roads, although as mentioned previously the more prestigious ones are dry dirt with more ruts than stones. Shopping at Trader Joe’s and Whole Foods at least once a month is mandatory in Santa Fe. (There actually might be an ordinance.) Plus there are two grocery chains – Albertson’s and Smith’s – for more ordinary folks. And another one named Sprouts, which, like Marsha and I, occupies the middle ground between the two retail food extremes. Another result of our history of temporary living conditions, which also makes it harder to realize that we are no longer just on vacation here, is that we seem to have become quick adapters at making ourselves at home in stranger’s houses. As a result we seem to quickly overcome many of the telltale tests that indicate temporary residency, such as: an inability to fetch and put away the dinnerware without thinking which section of the drawer the property owner decided they should be in; and continually hitting your hit your head on the same bedroom ceiling light fixture (unique to 600 square foot rental casitas with six-and-one-half foot ceilings). 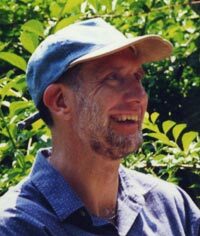 I personally find our rapid adaptability to temporary housing pretty impressive considering that before moving to Santa Fe we lived in the same Wethersfield Connecticut home for forty years and basically only made one change when we remodeled the kitchen about half way through our tenure there. However one thing we had not done previously out here – or actually any place other than our home base – was to get haircuts. Needing a quick fix we discovered a chain called “Great Clips”, one of which was located a few blocks from our first Airbnb. And which also, it turns out, has another shop a short drive from our new adobe abode. Although in Connecticut we had a series of regular hair stylists (first Patty who retired, then Donna who retired, then Kelly), at Great Clips it is the luck of the draw. And this less personalized approach (sometimes Maria, sometimes Yolanda) seems to be working just fine – even though each time they say it is “nice to meet you.” This is not so surprising for me who on their computer data base “clip notes” is listed as a “all over [machine cut with the blade set] at 4.” Less expectedly for Marsha whose cut requires more nuance and attention, and who has actively worked for years with the aforementioned “CT Three” to get it just right. It turns out that in order to feel at home somewhere, you actually don’t need to be where everybody knows your name. Marsha and I moved to Santa Fe, New Mexico for the same reasons that we vacationed there – its unique combination of art, architecture, outdoor activities, museums, food, people and overall cultural/open-air ambience. But “The City Different” is not just a tourist Shangri-la. It is also a real city dealing with real city issues – albeit ones that never came up on our radar back in quiet New England. For example there is this pending clash between the fine arts and a less rarified leisure activity. The Teseque Indian Pueblo is planning on building a Casino-Hotel Resort on land that it owns adjacent to the Santa Fe Opera. And it brings to the surface an underlying tension in “The City Different” between those residents who basically just want their hometown to be a place with good paying jobs, decent schools, and affordable housing – and what I will call the Townie-Tourists (double Ts) who just want to settle down among all those things that attracted us here as visitors. Now, The Santa Fe Opera is a world-renowned venue for classical musical theater that plays host to a variety of operas each summer. Situated on a mesa with panoramic views of the surrounding high desert of New Mexico, the audience faces west toward an ever-changing horizon of sunsets and thunderstorms, which are frequently visible throughout many productions when no backdrops are used. Sixteen percent of the jobs in Santa Fe, about 9,800, come directly or indirectly from tourism. And the opera is one of the town’s major visitor attractions whose impact on New Mexico's economy has been calculated at more than $200 million each year according to the Americans for the Arts web site. Marsha and I attended our first SF Opera performance this past summer – “The (R)evolution of Steve Jobs.” It was her initial opera experience and my second. My introduction was arguably more extravaganza than musical art – a presentation of “Turandot” at the Hartford Connecticut Civic Center featuring a menagerie of animals (including several camels) marching across the dirt-covered basketball court which sat atop the hockey rink. Steve Jobs was the perfect opera for us – or me anyway – ninety minutes, one act, entirely in English. And the desert sunset was more impressive than the long-legged desert animals. The potential casino site is wholly owned and controlled by the Tesque Pueblo, which has the total legal right to build whatever they wish on the land with no outside oversight. So it is definitely going to happen. Meanwhile at the south end of town – ours actually – The Flying J Corporation is attempting to build a new Truck Stop (what they call a “Travel Center”) at the north end of the scenic Turquoise Trail and within a few miles of several semi-rural communities (including Rancho Viejo) – at the entry point for most first time drivers into Santa Fe. Accusations of “ruining the character of our city” and “ambient light destroying the black star-lit heavens above us” versus charges of “looking down on hard-working truck drivers who deliver the food you eat” and “trying to preserve your precious, imaginary little town” fly in the editorial pages and at town meetings. The developer and their supporters argue that the truck stop will bring more jobs to the city. Jobs are a good thing. In fact Marsha and I would not be in a position to oppose this project if we had not had interesting, well-paying ones. Unlike the casino issue – the outcome of the truck stop looks to be in doubt. For one thing a Truck Stop already exists about twenty minutes south of this site at the San Felipe Travel Center and Casino. Also there are other squabbles. In a bitterly debated referendum, last May the voters turned down a proposal by Mayor Javier Gonzales to establish a sugar tax on soda in order to fund a Pre-Kindergarten program in the schools. And certain members of the Catholic Spanish Community once again enraged the local Indian population with their annual public celebration of the “Entrada” wherein they reenact what they say was the friendly welcome that the Spaniards, under the guidance of the Virgin Mary, received from the Pueblo Indians when the Conquistadors arrived in Santa Fe. The Native Americans remember the event as being considerably more coercive, violent, bloody and deadly. This quarrel has festered for many years, even resulting in the placement of police sharpshooters on the rooftops around the town Plaza in order to prevent violence last year. Eight demonstrators were arrested this time. The charges were later dismissed. It seems that fervently felt internal disagreements are as much a part of the character of the City Different as are the art, architecture, outdoor activities, museums, food, people and overall cultural/open-air ambience that attracted us and many others. But, at the end of the day, Marsha and I still have the sunset: either descending behind the nearby Jemez Mountains as seen from our back yard patio; or spreading across the endless sky on our drive home from the independent contemporary arts cinematheque on Old Pecos Trail; or abstractly portrayed on canvas by Georgia O’Keeffe; or turning the adobe walls on Canyon Road a subtle shade of pink. 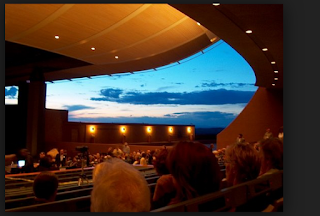 Or – we can only hope – radiating through the open backdrop at the Santa Fe Opera.